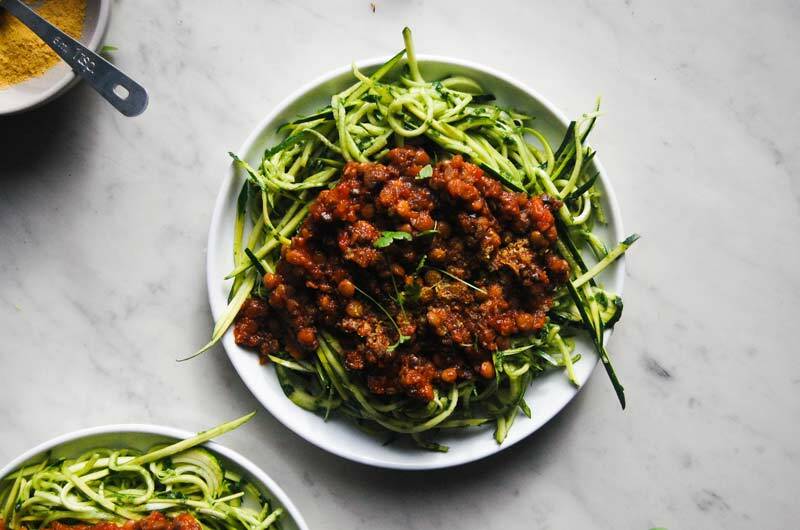 High in protein, low in starchy carbohydrates, this plant-based (and delicious) alternative to a classic pasta dish is the perfect easy weeknight meal. 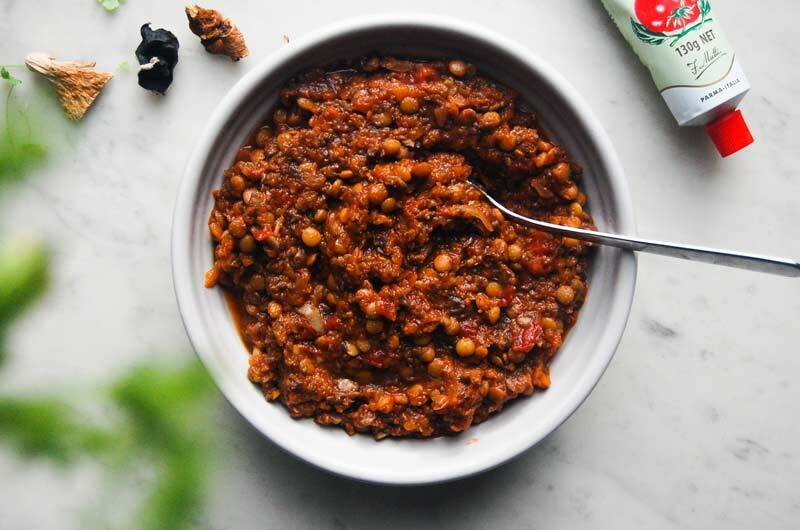 Mushrooms make up the bulk of this sauce and help this plant-based Bolognese to be as flavourful and hearty as the traditional version. Mushrooms are a source of B vitamins including riboflavin, niacin and pantothenic acid which assist your metabolism as well as your nervous system. They are also a source of selenium, an antioxidant mineral which can often be missed in our day-to-day diet. Selenium supports healthy immune system function and protects cells from free radicals. Mushrooms are also one of the only plant-based sources of vitamin D making them a perfect winter food when sun exposure is low. Look for the freshest Portobello mushrooms you can find or you can also use Swiss brown mushroom as they are deeper and richer in flavour than white mushrooms and provide the meaty texture you want for the sauce. 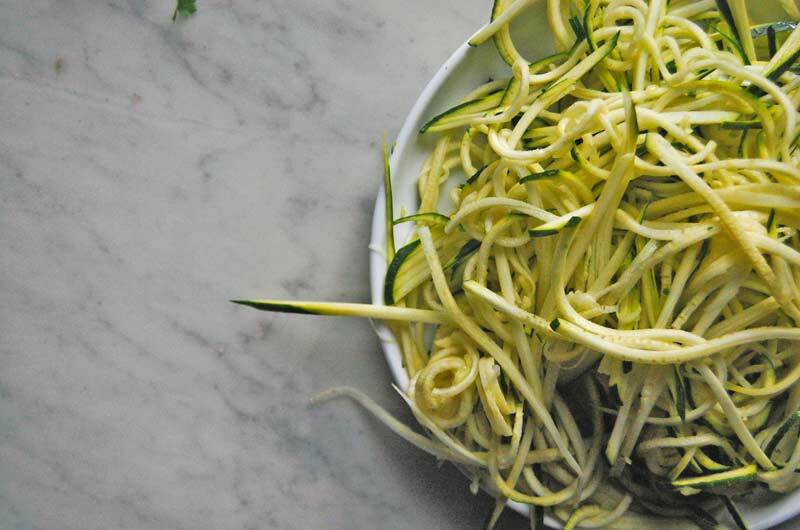 Zoodles are noodles made out of zucchinis. Use a peeler or mandolin to make them if you don’t have a specific spiralising tool. You don’t have to use them for this dish but they make it a lighter and higher protein meal and are a quick, fresh substitute to a regular wheat pasta. Get yourself home from work or school, prepare a batch of the sauce in minutes and while it’s cooking away on the stove, prep your noodles in time for your one-pot wonder Bolognese sauce to be poured all over them. 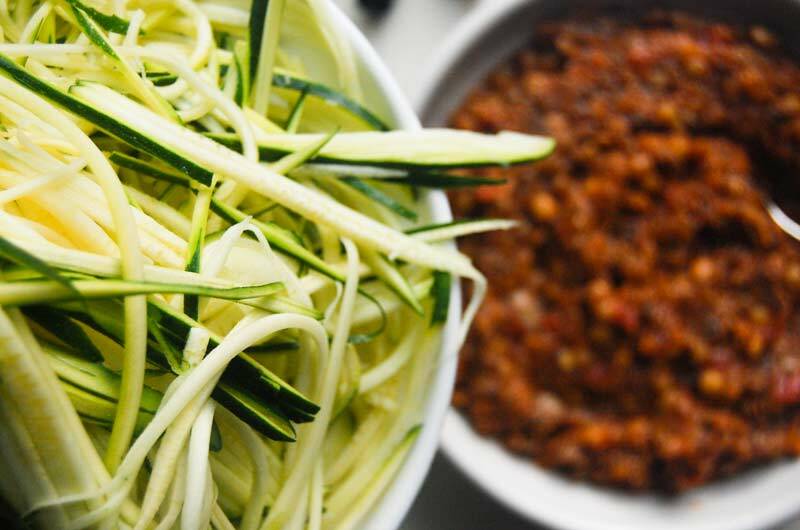 While the sauce is cooking, make your zucchini noodles using a spiraliser, a julienne peeler or a mandolin. Once they’re prepared, place them into a mixing bowl. 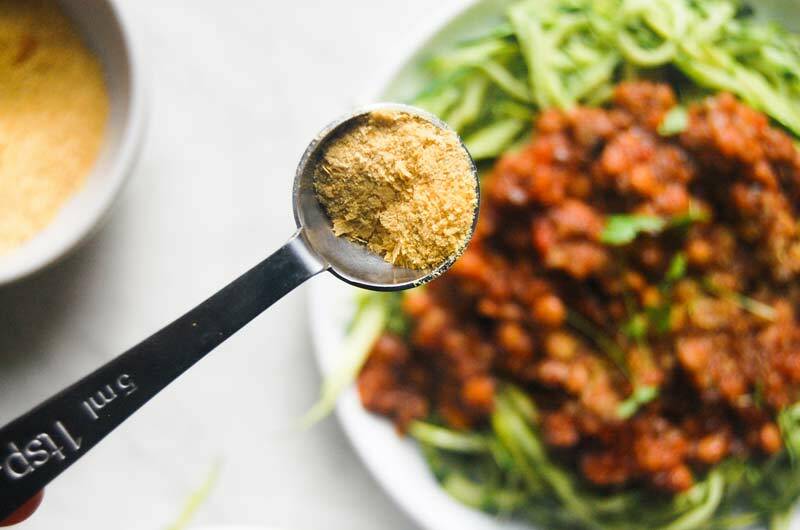 Blitz the basil leaves, spinach, olive oil, nutritional yeast or parmesan and salt and pepper in your food processor until it resembles a green paste and then mix this paste this through the noodles until they are all well coated. 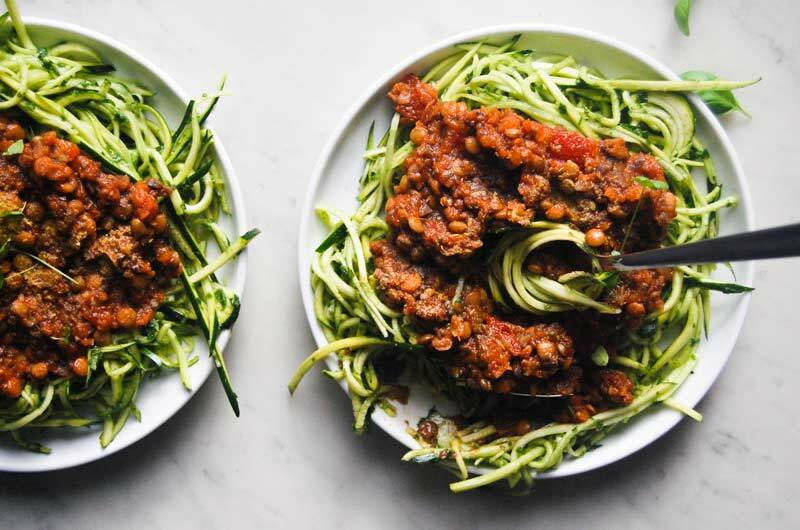 Divide the noodles between four bowls and when the sauce is done, top each bowl of zoodles with a generous serving of Bolognese sauce, a sprinkle of nutritional yeast or parmesan and a handful of roughly torn basil and/or parsley. Enjoy!